As a member of the Class of 2k14 Fiction Addiction debut novelists, I've been asked to write about something I'm thankful for, as a writer. This is my portion; you can access the entire list of Class of 2k14 authors and their thoughts on what they are grateful this year. 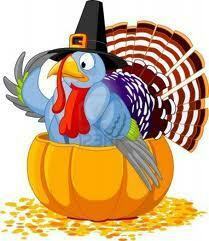 -- Wishing you all a very blessed Thanksgiving! I am thankful for you, my readers! I read last week that the Canton (Ohio) Writers’ Guild is celebrating its 50th anniversary and the post reminded me that I am thankful for mentors. In particular, I am thankful that while at Glenwood High School my best friend’s mom, Norma Atkins, critiqued my writing and expected me to revise. Though Norma was a single mother of four children, she took me to the Canton Writers’ Guild meetings and a writing conference at Malone College. Norma always treated me and my writing with respect as if I were a peer, not a teen. I’d never had an adult treat me like that before. Because of Norma and all I learned at the Guild, nearly a decade later when I started writing professionally, I already knew how to work the business end of publishing. I’ve always been grateful for that. Norma died the year I signed contracts for my first four books. I don’t think she ever knew I continued writing because I had moved out of state. The Canton Writers’ Guild grants an annual Norma Sigler Atkins Rowlands Award to local writers. And so, on the brink of publishing my 17th book, and debut novel NO SURRENDER SOLDIER, I want to take this time during Thanksgiving to honor Norma, show gratitude to mentors everywhere, and wish the Canton Writers’ Guild a happy golden anniversary. May you continue to inspire, educate, and respect writers of all ages and stages for another 50 years, at least.